More Money for Scholarships Is Good, But What About the Elephant in the Room? Less than a year after netting a $10 million gift to establish a scholarship fund, Nashville's Belmont University announced another scholarship-based donation, this one totaling $15 million. What explains the school's success over the past 24 months? For an answer, let's start back in November of 2015. That's when alumnus Milton Johnson and his wife, Denice, gave $10 million to create the R. Milton and Denice Johnson Bridges to Belmont Endowed Scholarship Fund. Originally launched in 2013, Bridges to Belmont was designed to enroll promising students from Metro Nashville Public Schools who may not have previously been able to consider Belmont as an option. As we noted at the time, for Johnson, the gift was personal: "My Belmont scholarship was a life-changing experience for me, and [Denise and I] want other Nashville public high school graduates to have the same opportunities at Belmont." Now comes news that the university received a $15 million gift—the largest single donation in the school's 125-year history—from the Parsons, Tennessee-based Ayers Foundation. And once again, the gift focuses on expanding opportunity for disadvantaged students. Scholarships from the Ayers endowed fund will be awarded to qualified Belmont students based on financial need. We imagine there will be a lot of demand for these scholarships, since Belmont University is a perfect case study of runaway college tuition costs. Between 1990 and 2000, tuition at the school more than doubled from $4,650 to $11,550. Then, over the next decade, it doubled again—to $22,860. And it's kept rising. 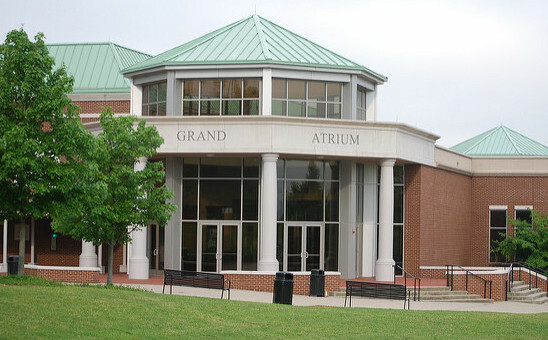 Belmont's tuition hikes have been typical of private colleges and universities. It's nice that the school has lately been pulling in lots of money for scholarships, but it seems to us that the donors in the case are fighting a losing battle, with gifts that address the symptoms and not the causes of college affordability. The latest gift should come as no surprise to those familiar with the Ayers Foundation's history of giving. The grantmaker has supported numerous projects in its 17-year history; the Ayers Foundation Scholarship Program has made higher education accessible for more than 3,000 students from West Tennessee, including those from Jim Ayers’ home county of Decatur. Commenting on the gift, Ayers said, "We need to do things to enable people who aren’t as financially fortunate as we are to get a great education. There are people who need an education from Belmont who just can’t afford it and those are the people we want to help." Amen to that. But this is yet another big scholarship gift where there's not even a nod to how soaring tuition costs have driven college out of reach of many middle class families, to say nothing of lower-income households. What's going on in the university world is something akin to the Bilbao Effect in the visual arts space—schools are spending heavily to create a more attractive, and in many cases, palatial student experience. Here, too, Belmont is a a perfect case study, engaging in what the Nashville Post has called a "construction boom." Belmont's Vice President for Development and External Relations Dr. Perry Moulds has said: "Over the past 15 years, Belmont University has invested in efforts to build spectacular new facilities that serve our student body by providing state-of-the-art classroom, laboratory, performance and residential experiences." These are (more or less) necessary investments, but as we all know, funding is finite. Faced with excessive capital expenses, universities often find themselves robbing Peter to pay Paul. Then again, if the money keeps flowing, what's the problem? University coffers get replenished, gleaming buildings get erected, and lenders keep handing out student loans; meanwhile, as of late 2015, tuition has risen across the board, even though government reports suggest that there has been no inflation in the rest of the economy over the previous 12 months. The machine keeps humming along and everyone's happy—until some 21-year-old graduate gets her first student loan statement and realizes she'll never pay it off in her lifetime. Or multiple lifetimes. So while we certainly applaud the fact that donors are making it easier for students to attend college for free, we'd like to pose an ancillary question: Why don't more donors step up to address the root causes of runaway tuition? Of course, some foundations, like Lumina, have been working on the issue of student debt. Some of that work gets into the tuition problem, but much does not, and there's little overall investment by foundations in exploring solutions in this area. There's even less interest on the part of individual donors, even those who clearly care about ensuring that college is accessible to students of more modest means. You'd think many alumni donors would be up in arms about soaring tuition costs at their alma maters. But apparently not. Instead, the reaction is often to pour more money into scholarships—which are good, as we've said, but also clearly a Band-Aid solution here. Related: Which Funders Are Worried About the Student Debt Crisis?